NFYFC has two scholarship places available for YFC members who can represent the Federation at the Oxford Farming Conference in January 2019. The Worshipful Company of Farmers is continuing its support for NFYFC scholars at the 2019 Oxford Farming Conference, which is themed a World of Opportunity. YFC members aged between 20-26 now have an opportunity to apply for two scholarship places. Accommodation, food and training are provided within your scholarship package and all bookings are made by NFYFC. Tom Wells from Brigg YFC (pictured) received a scholarship for the 2018 event and said: “I found the whole experience very enjoyable and I met lots of new people which has given me much greater professional connections and allowed me to ask tailored questions of these experts of industry.” Read about Tom's experience of the 2018 event here. Be available to attend the Oxford Farming Conference (2-4 January 2019). To be considered for a scholarship, please submit your reasons on why you should be considered for this great opportunity, include contact details, your YFC membership number and your CV to Sarah Palmer. 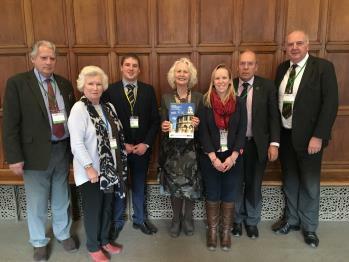 The National Federation of Young Farmers’ Clubs (NFYFC) is launching a new five year plan called Vision:2023 to help shape the future of the largest rural youth organisation in the UK. NFYFC wants to bring the 86-year-old organisation up to date and provide a programme of events and activities that meet the needs of rural young people today and in the future. The Federation, which began in 1932, has launched a survey to kick-start the process and is inviting all of its members to share what they value about being a member. Throughout the 2018-19 membership year, the organisation will be releasing more surveys and holding focus groups to gather feedback to take the organisation forward. NFYFC President Charlotte Smith said: “The programme of events and activities at NFYFC has altered very little in the last 80 years but yet society and rural young people’s needs have changed dramatically. NFYFC will make incremental changes on their Vision:2023 journey, consulting members at each stage. The first survey has been launched and YFC members are encouraged to share their views online. NFYFC Chair of Council Lynsey Martin said: “This isn’t about forgetting the Federation’s heritage – no one can deny the incredible history NFYFC has – but this is a vision to improve this organisation and make it more relevant in today’s society. The survey is available online here through Survey Monkey and YFC members will have until 19 September to complete the survey. Determination and teamwork were the key ingredients for the winning teams at the national Tug of War finals at the Tenbury Show in August. It was a challenging pull for the YFC teams who were competing in the intense summer heat to chase a national title. Waterhouses YFC from Staffordshire claimed victory in the men’s Tug of War, with Somerset FYFC winning the Ladies and Eardisley YFC in Herefordshire winning the mixed 12-17 year old category. Waterhouses YFC beat a total of 10 other teams in the 680kg category without losing a single pull. Club Chairman James Belfield said: “To say we’re pleased with the result is an understatement. The team have put in so much hard work this season, training twice a week, every week, and with a lot of us working in farming this is a massive commitment to make. In the Junior category – which is a mixed team made up of 12-17 year olds – Herefordshire admitted their dedicated training plan had paid off. 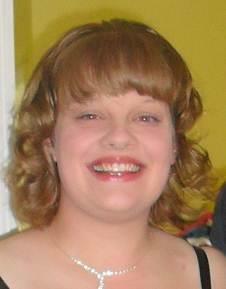 Megan Philips from Eardisley YFC said: “We have put months and months of training into this. We have trained so hard and we deserve it. I am so proud of our team! The Tug of War is one of the most popular YFC competitions and many members who take part in the competition also compete in other Tug of War competitions outside of YFC. 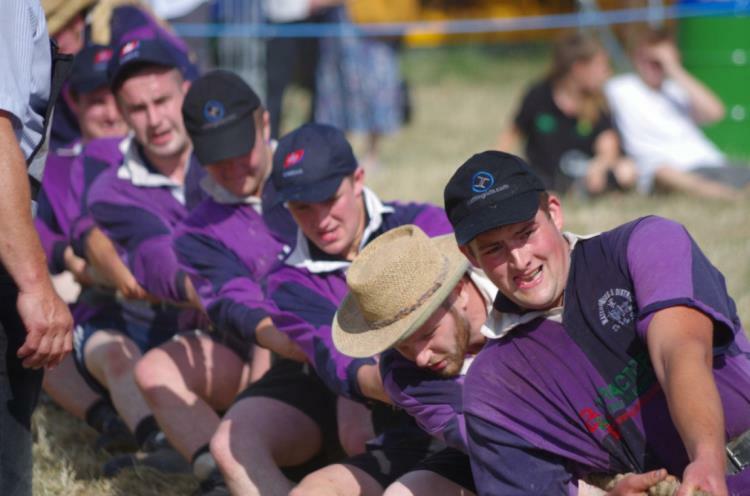 NFYFC will be holding the Tug of War finals at the Tenbury Agricultural Show for at least the next five years thanks to an agreement with organisers. Following a meeting of the Board of Management of The National Federation of Young Farmers’ Clubs (NFYFC), on 28 July 2018, it was agreed that the Federation would no longer hold the Annual Convention for its members. After 50 years of hosting the event, the Board believes it is time to refresh its offer to members and to bring its programme of activities more in line with its charitable aims to meet the needs of rural young people. The Annual Convention was created to showcase the achievements of members, hold national competition finals and to host its Annual General Meeting. Following a review, it was agreed that the successes and celebrations inside the event venue are being overshadowed by incidents taking place outside of the organised official NFYFC activities. This decision has been made following feedback from NFYFC’s Council, County Federations and staff. While NFYFC recognises this will be disappointing news for many YFC members, partners and sponsors, the organisation is looking at how it can explore new opportunities to move forward. The decision comes as the organisation moves to become a Charitable Company, which involves a complete review of its governance and structure. At the same time NFYFC will continue to work with the membership to develop a new five-year strategic plan to ensure the organisation is relevant for rural young people today and in the future. This will create a programme of activities that delivers skills for life and helps young people aged 10 to 26 to achieve their full potential. NFYFC has produced a set of FAQs in response to this announcement, which can be read here. YFC members can give their feedback and ideas in the online form below. Your views will be included in the Board's strategic planning process. Two YFC members are joining hundreds of young people at a Rural Youth Ideas Festival in Scotland this week to hear from inspiring speakers, attend workshops and enjoy live music. Amy Panton, a member of Cumbria FYFC, and Katie Evans from Glamorgan FYFC, have both received free places to the three-day Festival on a farm in Kinross, after taking up an offer posted by NFYFC on social media. Amy said: “I am attending the Festival because I think it’s important to mix with young people from other rural areas and share experiences, as this will help develop the rural community. The event is part of the Rural Youth Project, which is supported by NFYFC, and has been set up to find out more about the opinions and attitudes of 18-28-year-olds. Its goal is to inform wider industry and policy-makers and consequently to support the future of young people in the rural economy. A major part of the project is a survey, which has gathered the views of more than 750 young people living or working in rural communities in the UK and Australia, Canada, Sweden and the US. The results show that 72% of young people living in rural locations feel optimistic about their future despite the challenges of transport, access to services, employment and connectivity. Forty-five percent said they found it difficult to find work close to where they live and 60% wanted more access to activities to meet other young people in their areas. The results also highlighted that 94% consider digital connectivity essential to their future, in the context of 12% of respondents having no mobile coverage and more than a third citing internet speed of less than 4MB per second. Over half of the respondents said they didn't feel they had a say in the future of their community with regards, for example, to transport and planning. Seventy-two percent were optimistic about the future, though 25% of respondents were considering moving to an urban centre. For more information about the Rural Youth Project visit https://www.ruralyouthproject.com.